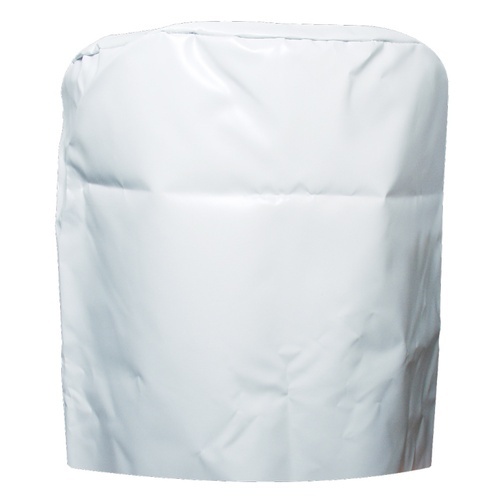 Replacement outer plastic cover for 40L Speidel Bladder Press. This cover fits over the closed press during the pressing operation in order to collect any juice spray and direct it down to the trough at the bottom of the press. It was the correct size but it was very dirty and with odd deep creases in it. It took a lot of hot soapy water to clean and undo the odd folds in the cover.